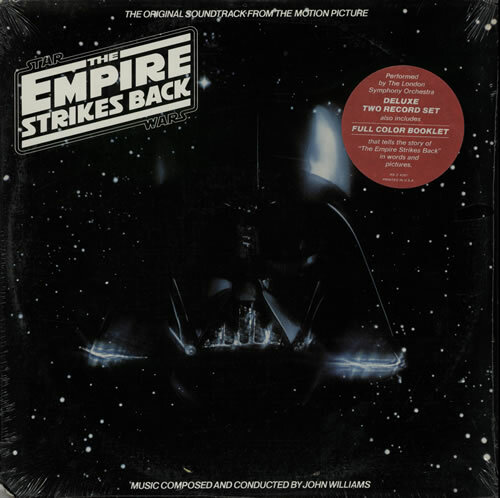 STAR WARS The Empire Strikes Back (1980 US 17-track double LP featuring music from the soundtrack of the film, including a full colour booklet telling the story in words & pictures, gatefold picture sleeve with small detetion corner cut. This copy has been factory sealed fromnew in the original custom stickered shrink & is therefore still mint & unplayed over thirty years later! RS-2-4201).